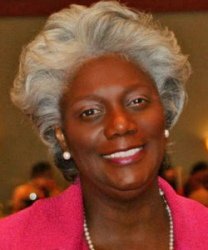 First African American female to Chair the Georgia Humanities Council (2005). This pioneering soror was exhibit curator for an exhibit on "Georgia's African American Legislators." First African American female to have her portrait displayed in the College of Education building at Georgia State University in Atlanta.